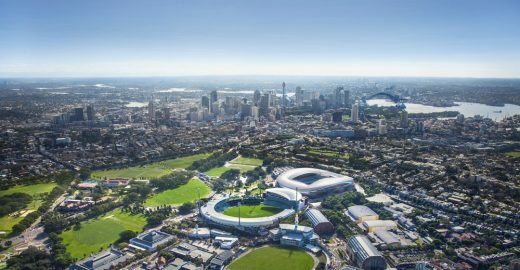 Australia’s New South Wales Minister for the Arts, Don Harwin, today (24th of January 2019) launched the open global search for an outstanding, world class team, with exceptional skills in design and placemaking, for the landmark new Powerhouse Precinct at Parramatta, Sydney. The competition is being organised by independent specialists Malcolm Reading Consultants (MRC). The deadline for Expressions of Interest is 22:00 AEDT / 11:00 GMT Monday 18 March 2019. Further details, including how to enter, are given on the competition website. “I am delighted to open this competition as we fulfil our promise to the people of Western Sydney to deliver a major cultural institution they can be proud of. “The new Powerhouse Precinct at Parramatta is one of the most exciting cultural projects in Australia. “This competition has been eagerly awaited by the international and Australian design community. “The new museum has the potential to remake Parramatta’s relationship with the river and set a benchmark for exemplary design in this fast-developing city. The designs produced by the shortlisted teams during stage two will be shown to the public in a physical exhibition and online gallery and the project client, Create Infrastructure, will be seeking public feedback on the proposals before the international jury meets. The jury will be chaired by Naomi Milgrom AO, who received her Order of Australia (AO) for business and community leadership and philanthropy. The much-admired MPavilion in Melbourne is commissioned by the Naomi Milgrom Foundation, a not-for-profit charitable organisation that exists to initiate and support great public design, architecture and cultural projects. 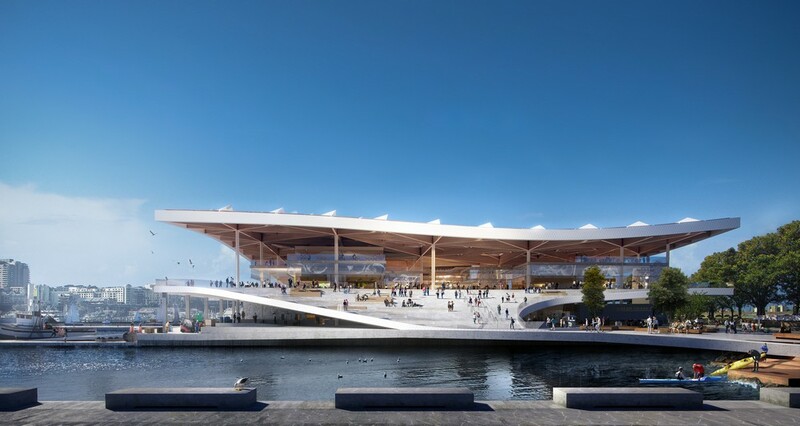 Full details of the jury who will assess the concept design submissions — which will also include MAAS CEO Lisa Havilah, Australian architect Wendy Lewin and international architect David Gianotten of OMA — will be announced later in the process. The competition process has been endorsed by the Australian Institute of Architects (AIA). The winner announcement is expected in the second half of 2019. An open two-stage competition, the process for which is endorsed by the Australian Institute of Architects (AIA), that welcomes both Australian and international design teams and actively encourages creative and intellectual collaborations between established and emerging talent. The initiative’s centrepiece is the Powerhouse Museum in Parramatta, Western Sydney, Australia. The new museum is focused on excellence and innovation in the applied arts and sciences. The Powerhouse Precinct encompasses the museum, the public spaces around it and a pedestrian bridge over the Parramatta River. Full details of the competition, including eligibility and how to enter, are available on the competition website. Naomi Milgrom AO is an Australian business leader and philanthropist, internationally recognised for initiating and supporting cultural innovation and artistic excellence. With a focus on bold projects that engage communities and generate social, economic and environmental value, she is known for leading successful collaborations with government, business and not-for-profit partners. Ms Milgrom has an acclaimed track record for bringing future-minded architecture and design to the community. She has collaborated with some of the world’s leading architects and urban thinkers through her MPavilion program, regarded as Australia’s principal architecture commission, and the Living Cities Forum, an annual gathering of leading global architects and design innovators. Through these initiatives, she has teamed with renowned architects such as Rem Koolhaas and David Gianotten, Amanda Levete, Bijoy Jain, Ryue Nishizawa, Sean Godsell and Carme Pinós. Numerous board positions and awards recognise Ms Milgrom’s achievements as a leader and contributor to civil society, including three Honorary Doctorates, the Australian Institute of Architects’ President’s Award, and in 2010 she was appointed an Officer of the Order of Australia. She was the commissioner of the Australian Pavilion at the Venice Art Biennale 2017. David Gianotten is the Managing Partner – Architect of OMA globally, responsible for the overall organisational and financial management, business strategy, and growth of the company in all markets, in addition to his architectural portfolio. David has overseen the design and construction of various projects including the Taipei Performing Arts Centre in Taipei, Taiwan; the Prince Plaza Building in Shenzhen, China; the KataOMA resort in Bali; the New Museum for Western Australia in Perth, Australia; the masterplan of Rotterdam’s Feyenoord City and the design of the new 63,000 seat Stadium Feijenoord in The Netherlands; and Amsterdam’s Bajes Kwartier, a conversion of a large 1960s prison complex into a truly sustainable neighbourhood with 1,350 apartments, also in The Netherlands. David led the design and realisation of the MPavilion 2017 in Melbourne, Australia and the Shenzhen Stock Exchange headquarters in Shenzhen, China and was also responsible for the end stages of the CCTV headquarters in Beijing, China. 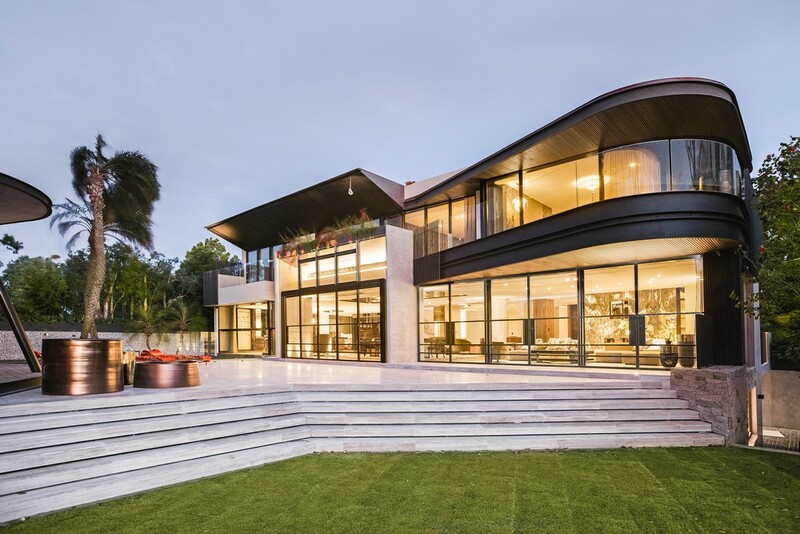 David’s work has been published worldwide and several of his projects have received international awards, including the 2017 Melbourne Design Awards and two CTBUH Awards in 2013. Wendy Lewin is a Fellow of the Australian Institute of Architects and currently heads her own architecture studio. Since graduating in architecture from the University of Sydney she has held leading positions in private practice and is the recipient of State, National and International awards for her built work and contribution to architecture, education and the profession. Her projects include residential, mixed use, cultural and educational facilities. She contributes to the public discourse on architecture through her varied advisory and curatorial roles (national symposiums, and national and international exhibitions), was a Creative Director for the 2008 Australian exhibition at the Venice Architecture Biennale and a Curator of the 2018 ‘Australia Now’ architecture exhibition at the Mori Sky Gallery, Tokyo for the Department of Foreign Affairs and Trade. Wendy is committed to design education and has taught at various universities including the University of Sydney, UNSW and UTS for over 30 years, was a visiting Professor at Hong Kong University and has chaired and participated in numerous State, National and International architectural design competition juries. In August 2018 she was appointed a Commissioner of the NSW Independent Planning Commission. Lisa Havilah commenced as Chief Executive of the Museum of Applied Arts and Sciences (MAAS) in January 2019. From 2012 to 2019, Lisa was the Director of Carriageworks. Under her leadership, Carriageworks experienced extraordinary audience, artistic and commercial growth, becoming the fastest growing cultural precinct in Australia. From 2005 to 2011, Lisa was the Director of Campbelltown Arts Centre, pioneering an internationally renowned contemporary arts program that brought together culturally and socially diverse communities, and from 1998 to 2004 was Assistant Director of Casula Powerhouse Arts Centre. Craig Limkin is an influential leader with over 15 years of experience in large scale organisations. With a demonstrated record of leading fiscal and capital complex transactions, Craig’s success is built on customer service, relationship management and staff development. Craig is the Executive Director of Create Infrastructure, the Cultural Infrastructure Program Management Office of the NSW Government. Create Infrastructure is the first of its kind in the world and is dedicated to the planning and delivery of cultural infrastructure. Craig is responsible for the Cultural Infrastructure Plan; Walsh Bay Arts Precinct; Sydney Opera House Stage One Renewal; Sydney Modern Project; Regional Cultural Fund; the Relocation of the Powerhouse Museum to Western Sydney; Ultimo Creative Industries Precinct; Upgrade of the National Arts School; Parramatta Riverside Theatres upgrade and other projects.